Do you want to be the one taken? Most of us have been taught in church that we want to be the one taken, or “raptured” out of here, and we idly listened to our preachers without getting into the word ourselves to find out what Matthew 24:40 was really talking about. If you don’t read the verses prior to this, then you won’t understand it. Notice who was taken…it wasn’t Noah. Noah was prepared, and was ready for the flood, while the others were caught up in the world, and did not heed the warning. In the last days there will be another flood coming, but this time it will be a flood of lies from the false preachers who are teaching people that they don’t need to understand and know God’s word about the end time because they are going to fly out of here in the rapture. The rapture doctrine is a false doctrine created by man, and is one of Satan’s greatest deceptions. Luke 17 explains it even more. You need to know that the proper translation of eagles here is actually vultures just like in Matthew 24:28. What do vultures do? They are scavengers and they prey on dead flesh. In this case it will be speaking of flesh that is spiritually dead. Satan and his vultures, or false teachers who have been misleading people with this rapture doctrine prey on people who are spiritually dead. Matthew 24, Mark 13, and Luke 21 clearly tell you who will be coming first, and what the signs are. Satan comes first, and will deceive many that he is the true Christ. That is why it says Christ is coming like a thief in the night several times. No one will be watching because they will think Christ is already here. It is Christ who spells this out in these chapters exactly what to be watching for when He comes. It won’t be a secret, all will know when Christ truly appears, and He calls His children to be watchmen. He gave us these signs so we know what to look for. There would be no need for these signs if He just planned to secretly rapture us out of here. So the blessed servant is the one who STAYED in the field, the one who was faithful and continued working. Who preached the MEAT of God’s word, not the milk. We are to be doing His work by spreading the TRUE gospel, not looking for a way out. God didn’t rapture Noah out, or Moses, but provided them with a way to get through the tribulations of their time, as He will do for us as well. Posted a new video on our Youtube channel today on Christian persecution. 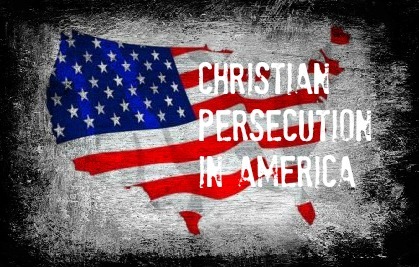 It is a very eye opening look at Christian persecution around the world, including the United States. There are things in this video you won’t hear in the mainstream media. Please watch and share to get the word out! 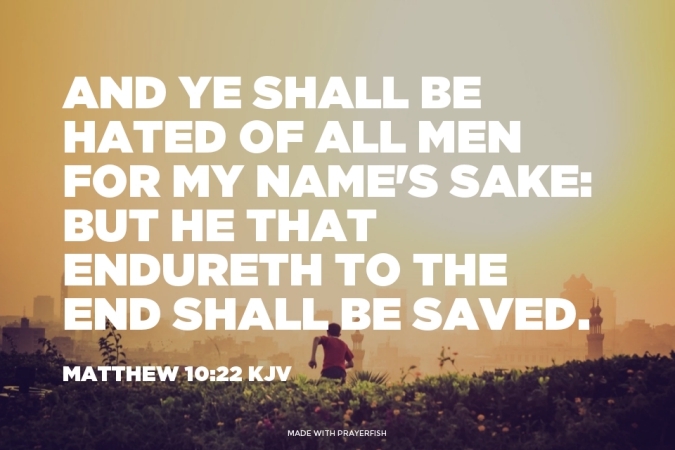 Matthew 10:22 (KJV) And ye shall be hated of all men for my name’s sake: but he that endureth to the end shall be saved. John 15:21 (KJV) But all these things will they do unto you for my name’s sake, because they know not him that sent me. Matthew 5:11 (KJV) Blessed are ye, when men shall revile you, and persecute you, and shall say all manner of evil against you falsely, for my sake. Always remember, we are not to be fearful of these things. When Satan is here as antichrist, he will not be slaying anyone. He will bring peace, and offer you whatever you want. There will be a chicken in every pot. His job as antichrist is to fool the whole world so that they believe he is Christ. Unfortunately, most will believe this, and therefore will follow him. (revelation 12:9) We know that there are many being killed in this flesh right now simply because they are Christians. When Satan is here to rule and reign as antichrist, you will be browbeaten and persecuted because you know that he is not Christ. Satan comes at the 6th trump, but the true Christ will not be here until the 7th trump. Satan=666 Christ=777 Those who know that it is Satan here pretending to be Christ will be delivered up to death (one of Satan’s names) and will testify for Christ against Satan and will be persecuted. Those who will be delivered up have no reason to be afraid, this is their destiny and purpose! 12 But before all these, they shall lay their hands on you, and persecute you, delivering you up to the synagogues, and into prisons, being brought before kings and rulers for my name’s sake. 13 And it shall turn to you for a testimony. 15 For I will give you a mouth and wisdom, which all your adversaries shall not be able to gainsay nor resist.